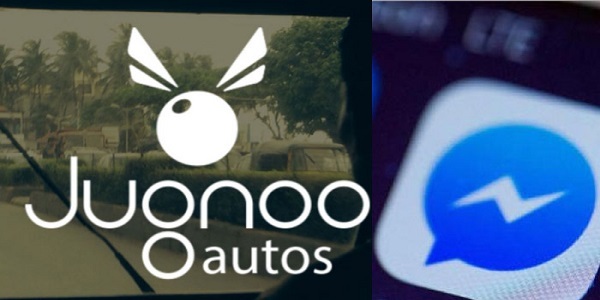 Jugnoo, one of India’s leading auto rickshaw aggregators, has announced the launch of Jugnoo Bot for Facebook users. The new service developed in association with Fugu, enables the brand to tap innumerous users on Facebook to book a ride either through Facebook messenger app, Facebook messenger on Web, Jugnoo website and Jugnoo’s FB page. Through ‘Jugnoo Bot’ service, people can easily book autos using their Facebook account, making the process more conversational. Jugnoo automatically authenticates users through their Facebook login details and detects their ride location and suggests nearby multiple locations to choose from. Users can also share their location via the Messenger location button. The Jugnoo Bot then shares the journey details with users to confirm their ride. The Bot also allows real-time tracking of the ride by users. [su_box title=”More From DSIM” box_color=”#c7c7c7″ title_color=”#000000″ radius=”5″]1) CASE STUDY: How Pulse Candy made it a success and reached Rs 100 Crore in just 8 months?